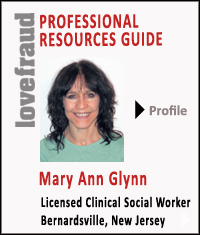 Mary Ann Glynn, LCSW, offers FREE online chat support group. Experience the support of people who know! Join our free online live chat support group next Sunday night, Dec. 18th, 8 pm EDT at www.destructiverelationshipshelp.com. Share your struggles and get feedback, support, and hope from others who get it. The group is professionally run.